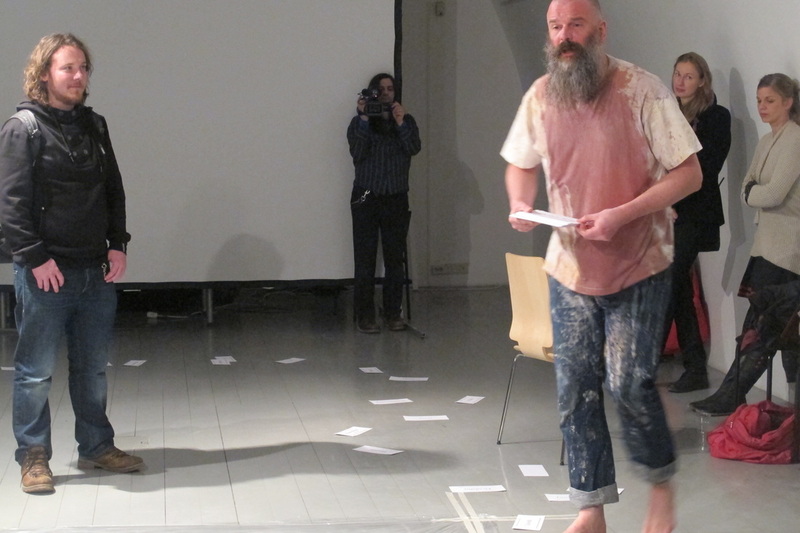 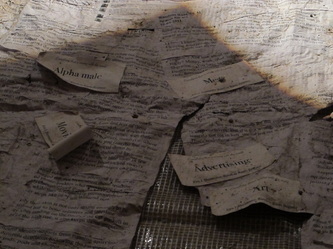 Text, prints and performances about everything that is wrong with the world in various media. 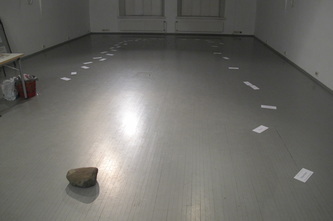 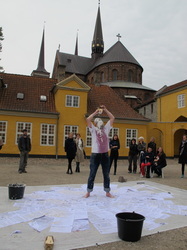 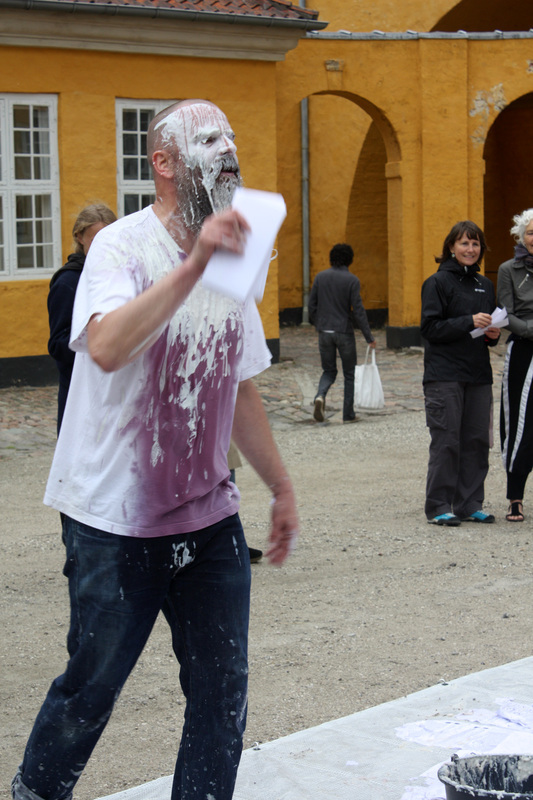 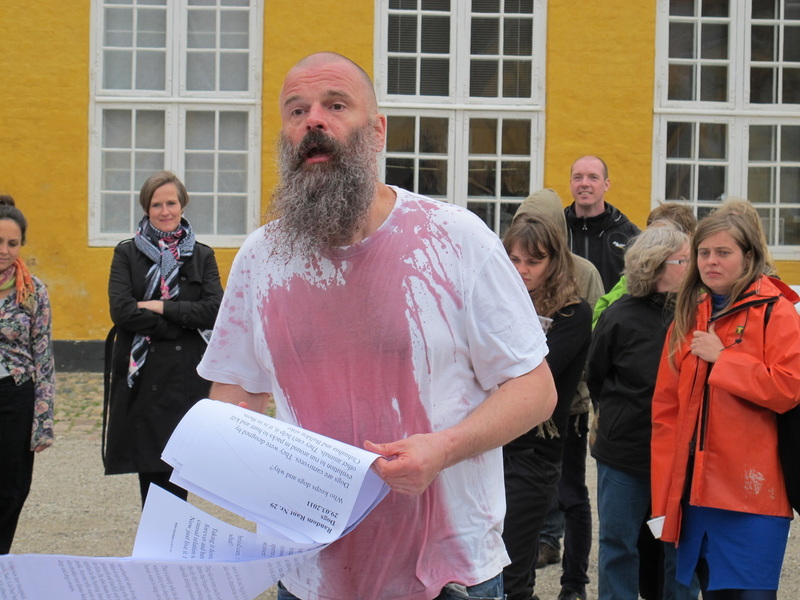 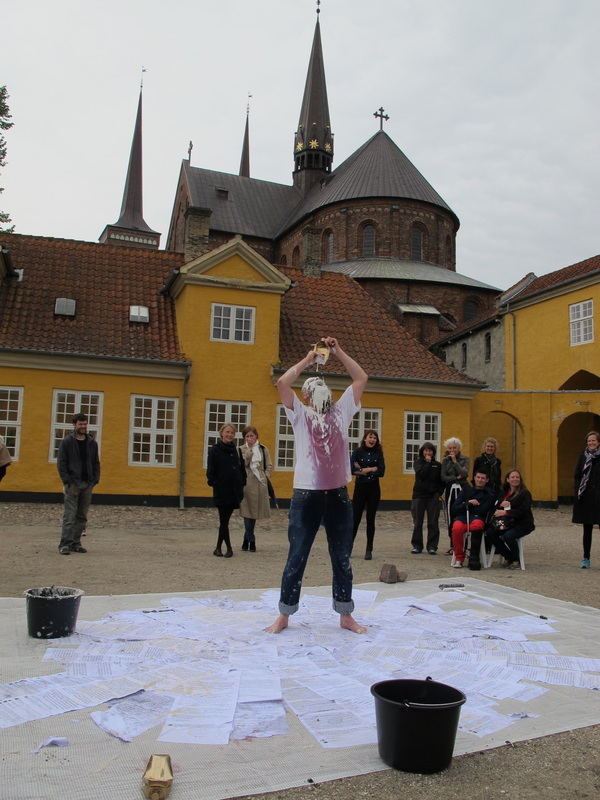 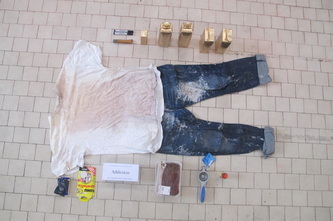 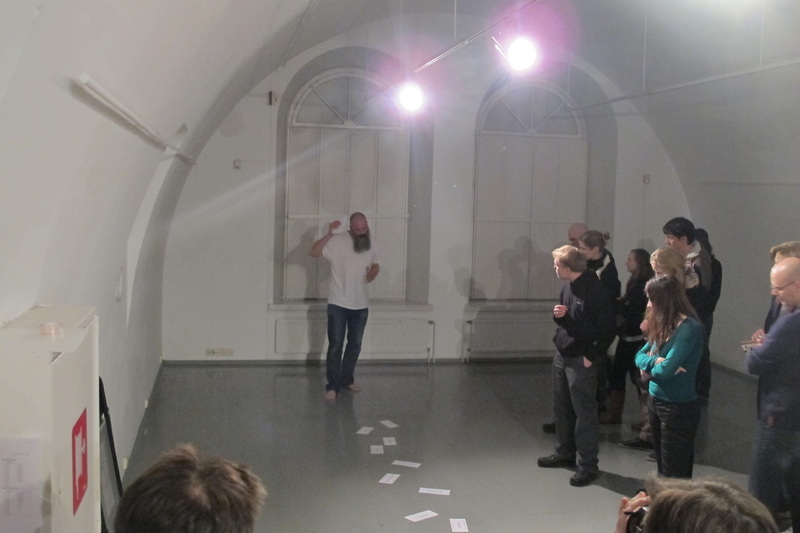 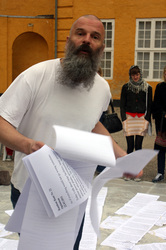 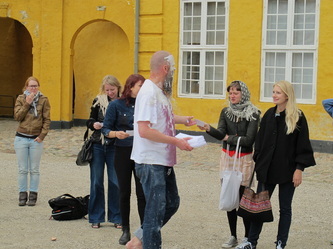 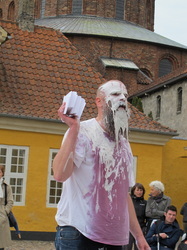 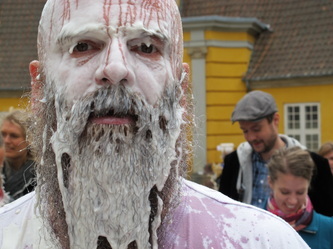 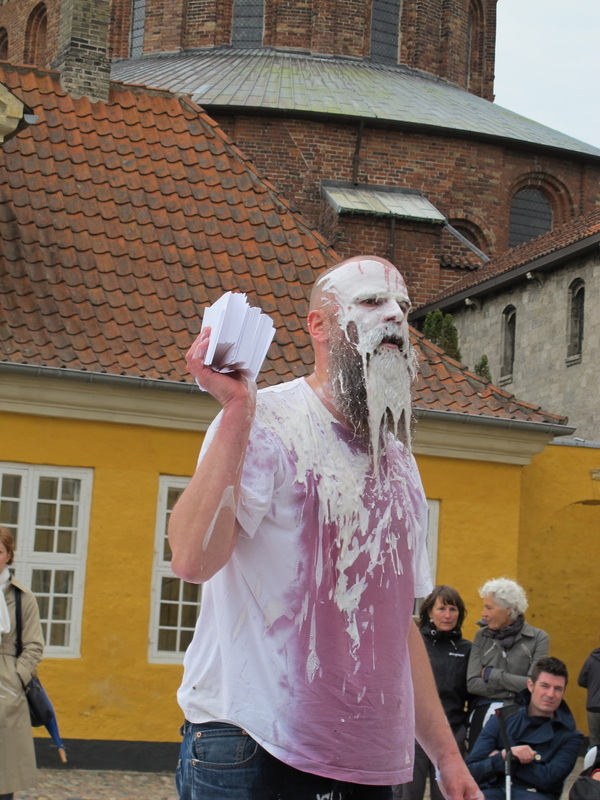 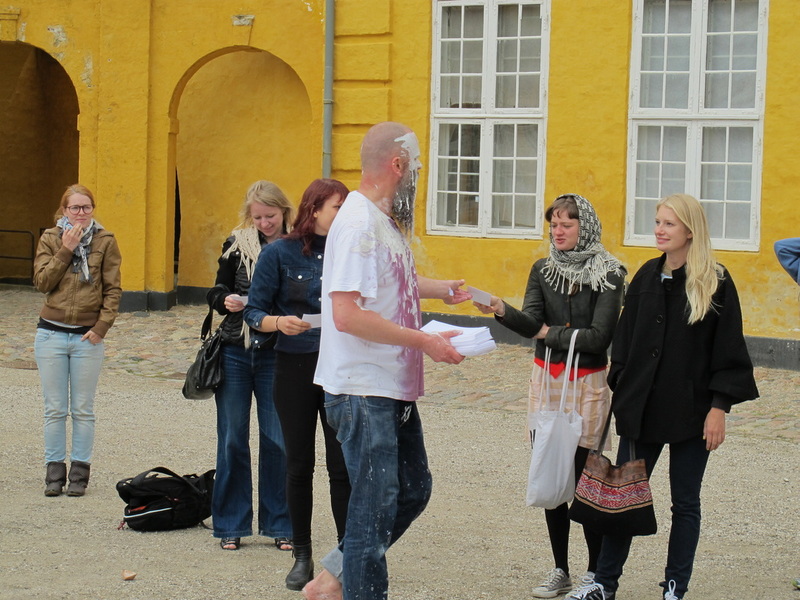 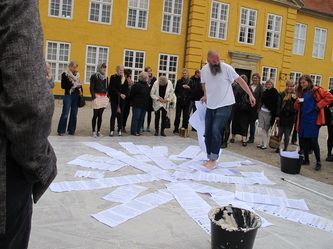 During my residency in Copenhagen (thanks to Samtalekøkken) March-June 2011 I published one rant on facebook each day for 100 days. Each article adressed something that was, in my perception at the time, wrong with the world. 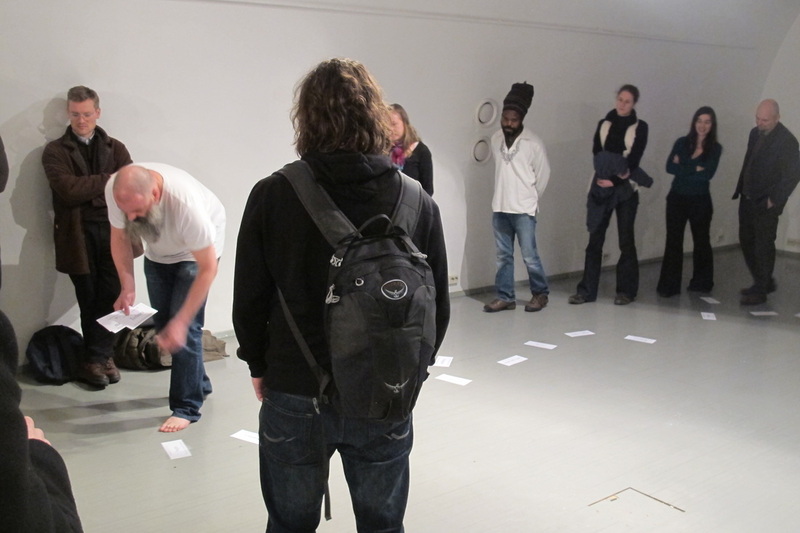 Subjects ranged from private matters through everyday-artist problems (Paying Artists was the most ferociously discussed note) to major political issues. 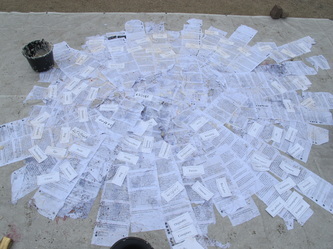 All notes and comments can be found here. 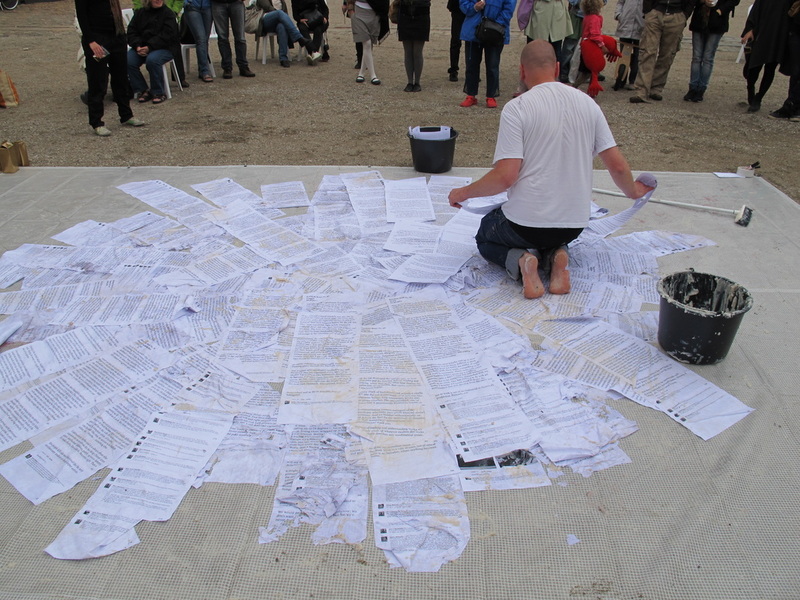 All rants including all comments left by readers on Facebook where printed on long scrolls of paper. 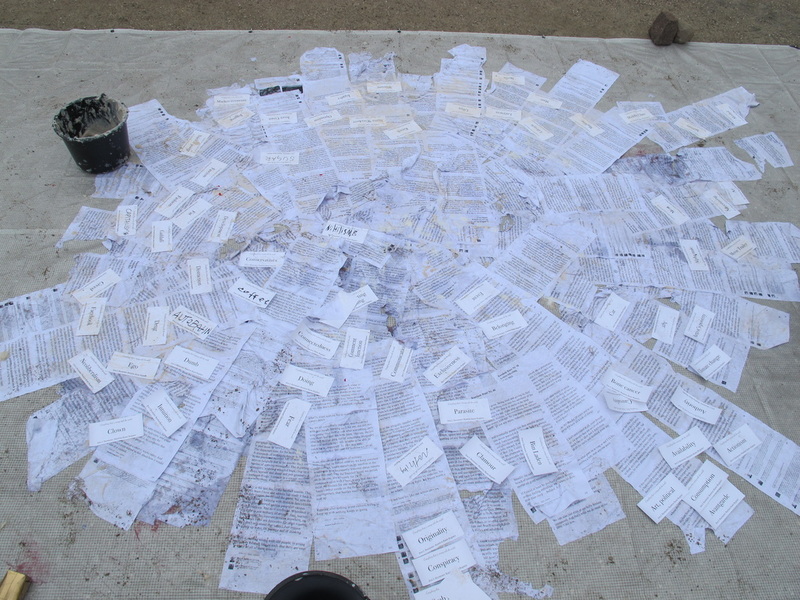 Additionally, an index of all issues addressed in the rants was compiled, and the keywords were printed on index cards. 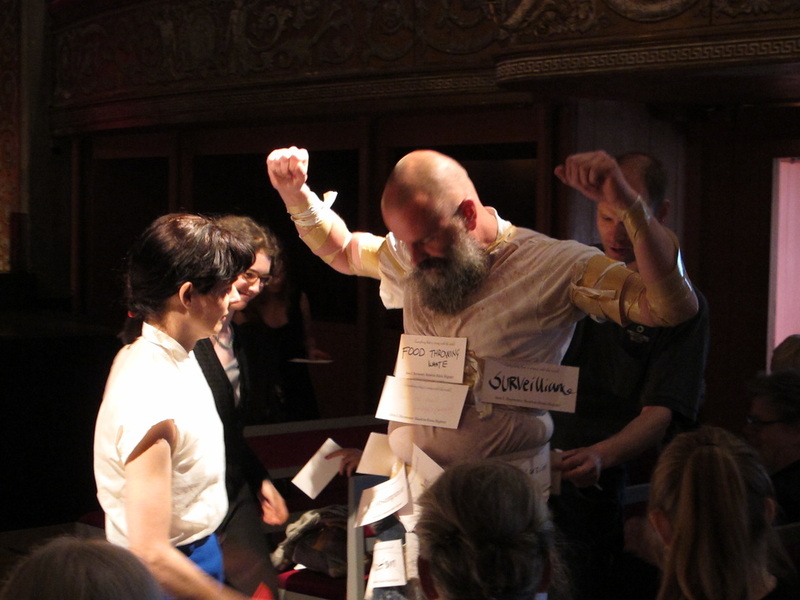 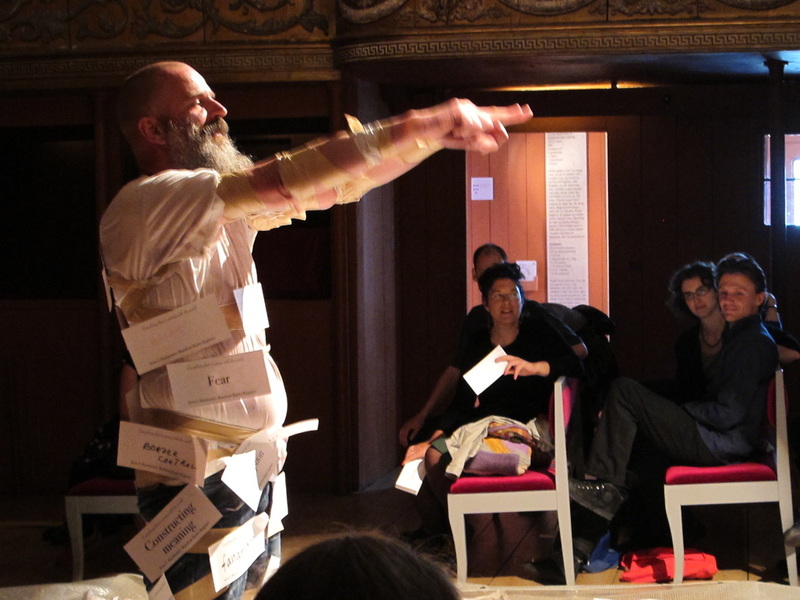 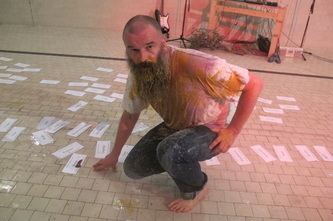 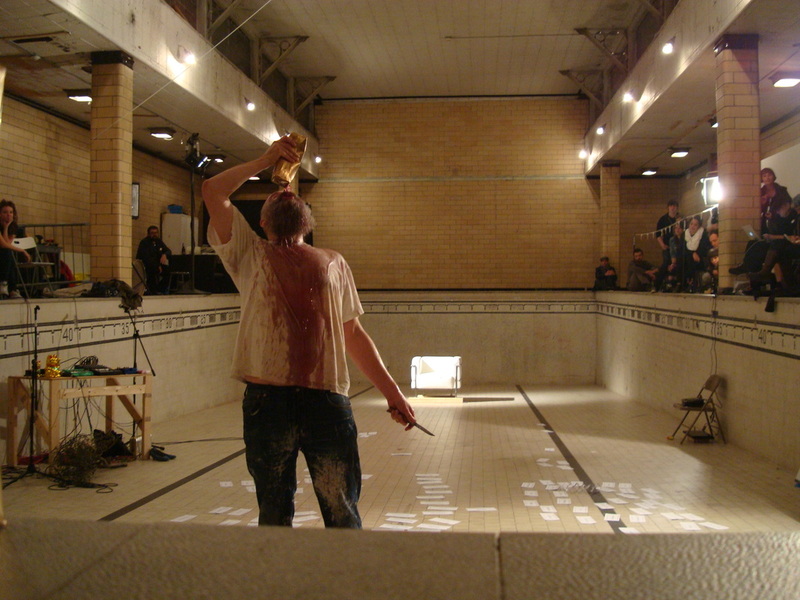 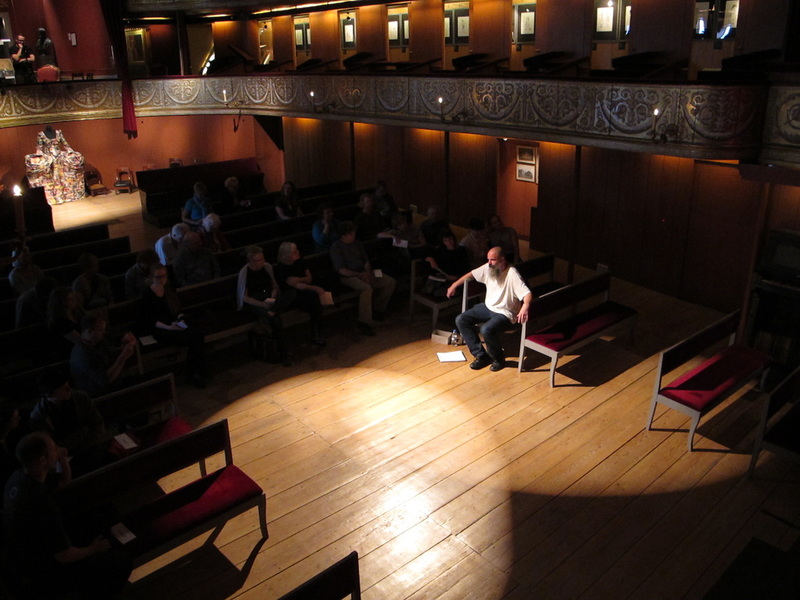 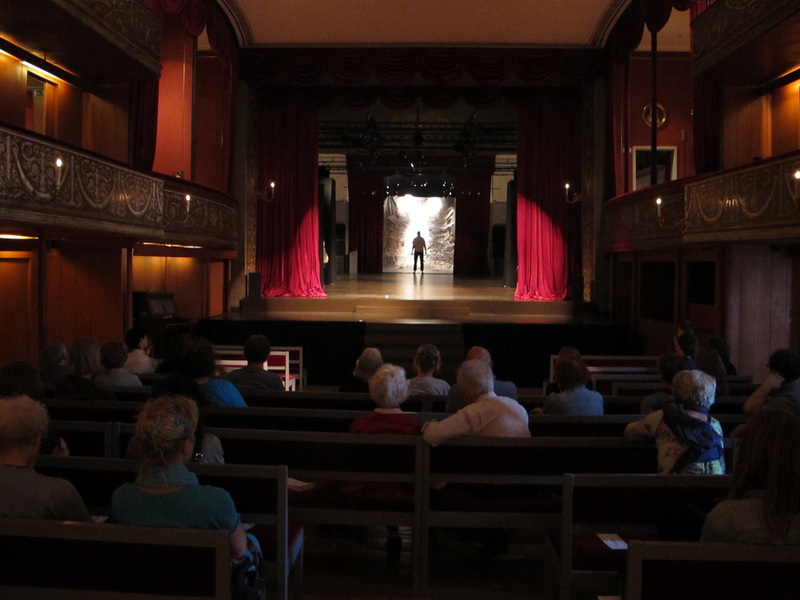 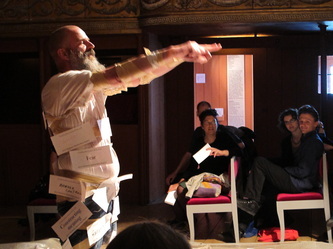 Based on the material gathered in parts 1 and 2, I devise specific one-off performances for various occassions and spaces. 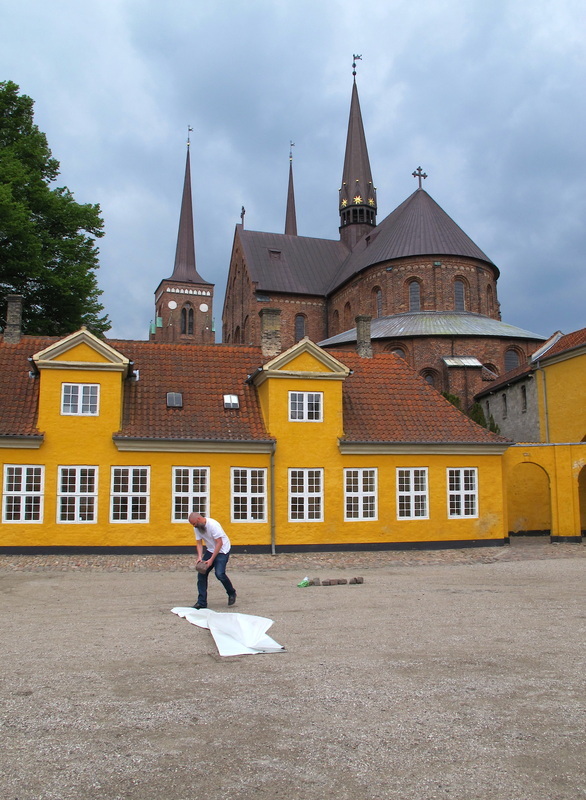 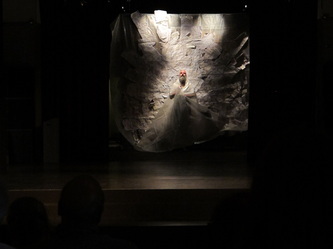 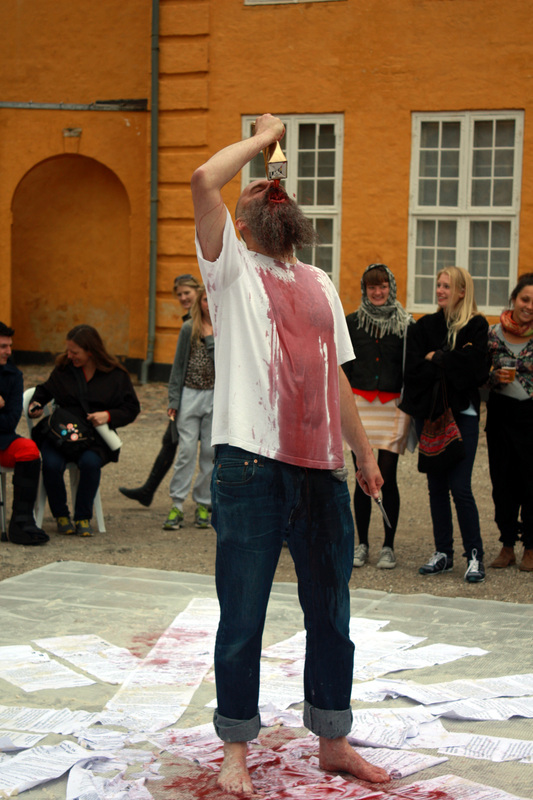 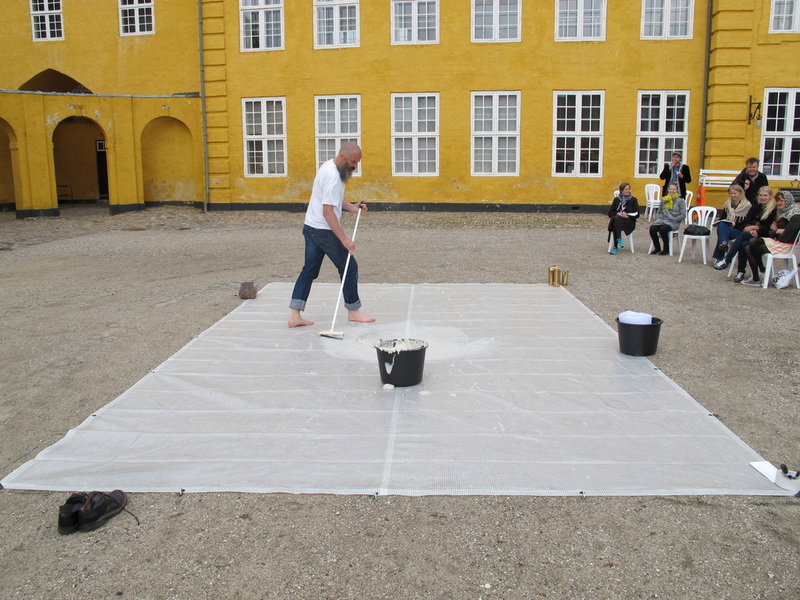 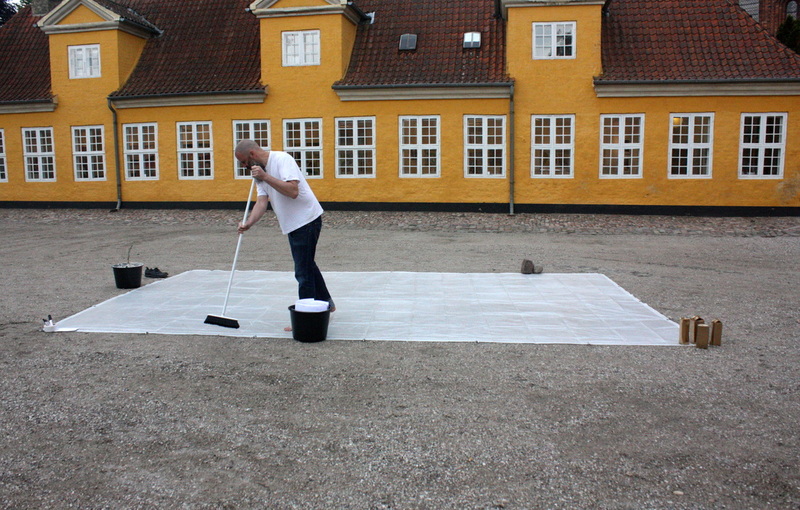 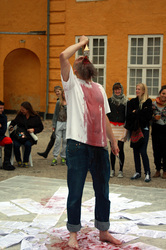 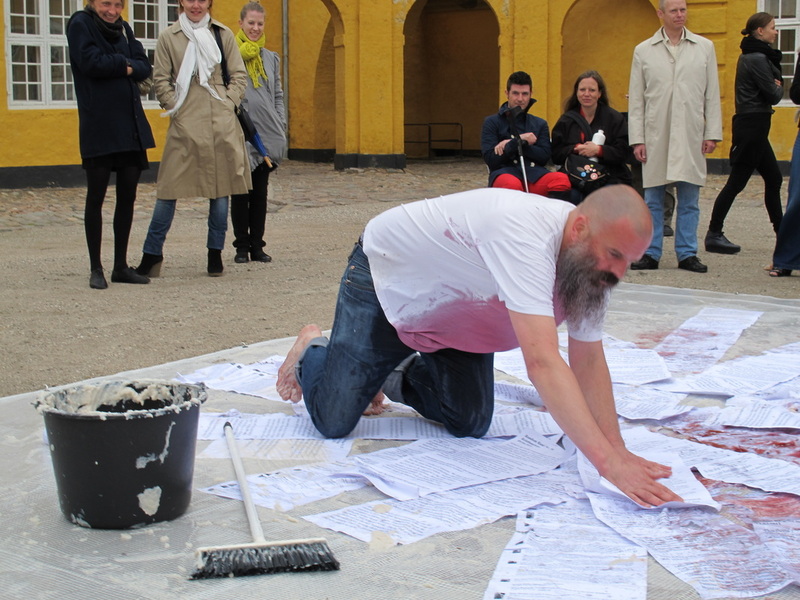 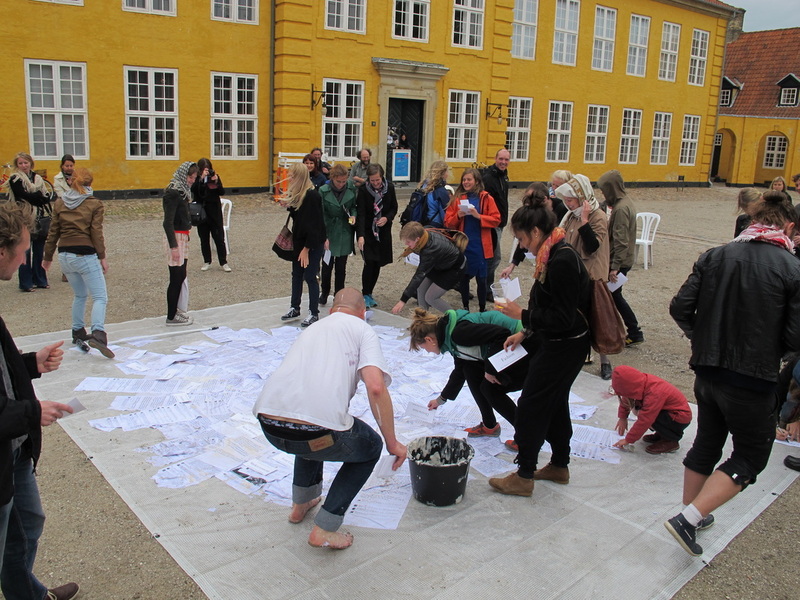 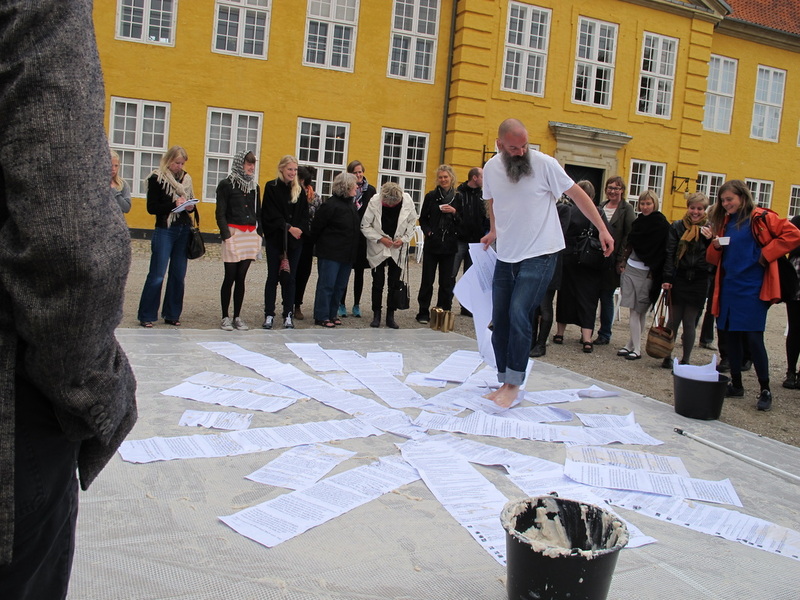 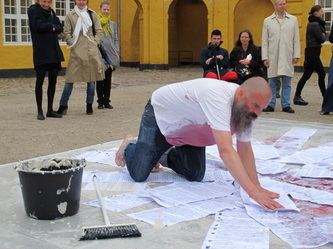 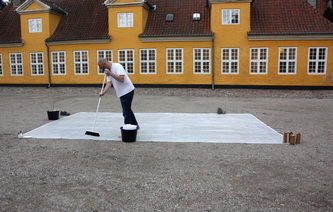 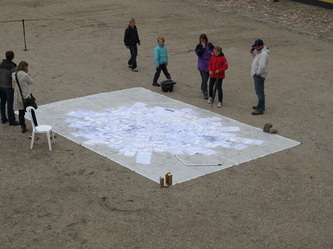 During the first performance at Roskilde, I made a 4 x 6 meter carpet from the scrolls. In all performances off this series I use the printed objects to strucutre the space, while I rant about everything and anything that is wrong right then and there. Audience is often invited to contribute their complaints.